Originally published under the title "He Say's There's One Thing That Drives Violence In The Middle East. But It's Not Islam..."
The tribes of Egypt's Sinai Peninsula. Take a look at recent news reports from around the Arab world and you'll notice an unusual commonality. Egypt's government "struggles to rally Sinai tribes," reads one Reuters headline, while the title of a Gulf News article recounts that former Yemeni president Ali Abdullah Saleh "fears tribes will shift allegiance" to his successor, Abd Rabbo Mansour Hadi. The Oxford Research reports on the "local, tribal and fragmented" nature of militia power in Libya. CNN covers a U.S. special forces mission to "accompany tribal, Arab and Kurdish forces" in Syria. From the BBC, "Iraqi tribes clash with jihadists in IS stronghold of Falluja." The UAE daily The National proudly notes the "tribal and military influences" in local designer Huda Al Nuaimi's spring/summer 2016 collection. Ok, you get the idea – tribalism is big in the Arab world. And while it has grown more noticeable with the collapse and weakening of Arab governments in recent years, the trend is not new. 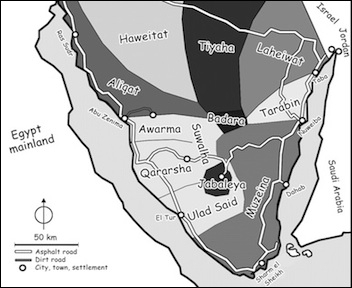 The same north Arabian Bedouin tribes that accepted Islam and spread it by the sword also infused the region with a deeply tribal culture, impacting everything from family relations to governance and conflict. The Arab world's deeply tribal culture impacts everything from family relations to governance and conflict. Tribal affiliation is based on descent from a common male ancestor; all descendants are deemed to share common interests and to have obligations of solidarity with one another. Descendants of other ancestors are deemed to have different interests and are seen to be opponents, sometimes enemies. The main principle of tribal life is absolute loyalty to one's lineage group vis-à-vis other groups of the same order and scope: clan vs. clan, tribe vs. tribe, confederation vs. confederation, sect vs. sect, Muslims vs. infidels. Middle Easterners believe that they can count only on their own group to protect their interests. They understand well the motto, "all for one, and one for all." This principle is so basic to tribal thinking that, for most people, it is an assumption about life that goes without saying. Tribesmen are accorded honour based on fulfilling their obligations to the tribe. These tribal characteristics shape the basic assumptions and attitudes of Middle Easterners who inherited their cultural foundation from Bedouin. Islam, arising through the adoption by Bedouin, reflects the structures of tribal life, especially in the opposition between Muslims and infidels. Middle Easterners looking at their increasingly chaotic world and deciding how they must respond think immediately of their kin group upon which they depend for all things, and other descent groups which are by their structural nature opponents and potential enemies, and from which they can expect nothing good. Opposition, rivalry, and conflict are thus seen to be in the nature of social life. Success, power, wealth, and, above all, honour derives from triumphing over opposition groups. Failure to triumph means the loss of power, wealth, and, above all, honour. The Arab Middle East is missing the cultural tools for building inclusive, unified states. The pervasive and continuous conflict in the Middle East–between clans, tribes, sects, and religions–is a manifestation of this culture. Middle Eastern history is largely a record of tribal conflicts and displacements, expansions and conquests, and invasions and dynastic replacements. "The Arabs are not in a wretched state – they are in a tribal state, and they are doing what they have been doing since time immemorial: conquering each other, demanding allegiance, and living in a state of perpetual war," writes analyst Hussain Abdul-Hussain. "The only difference now is that the Arabs are feuding in cities, and on TV and social media instead of in the desert." The Arab Middle East is missing the cultural tools for building inclusive, unified states. The West saw violent upheaval for millennia before it began stabilizing with acceptance of modern organizing principles, such as constitutionalism and rule of law, in the past few hundred years. Unfortunately, there are few signs that the Middle East will follow suit anytime soon. Philip Carl Salzman is a professor of anthropology at McGill University and a fellow at the Middle East Forum.